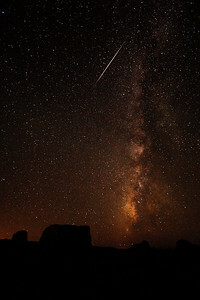 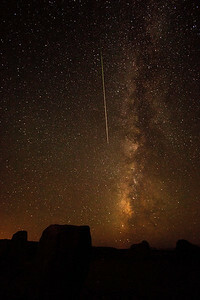 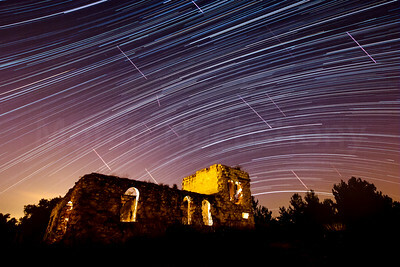 As an amature astronomer I find myself fascinated by the beauty of the night sky. 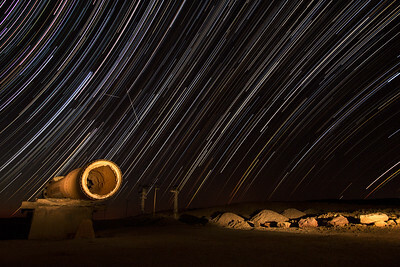 Long exposures of the starry sky combined with interesting landscape, is the way I try to express the beauty of the universe. 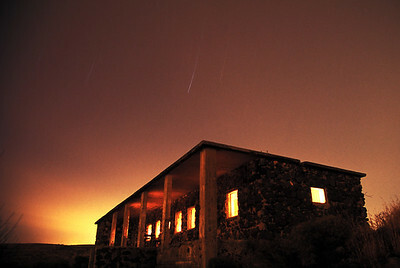 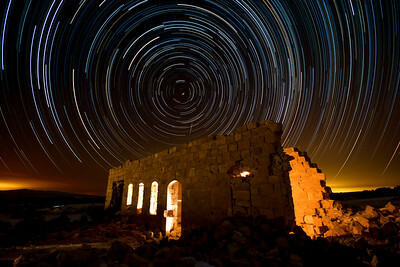 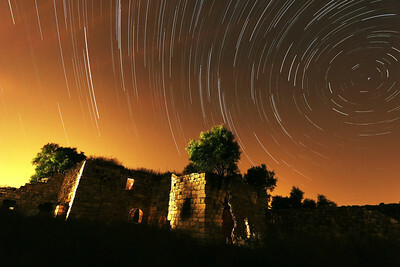 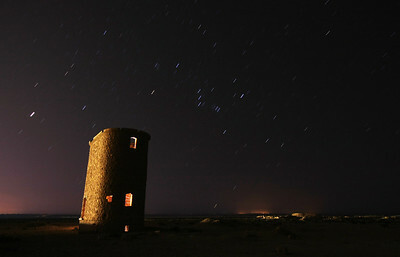 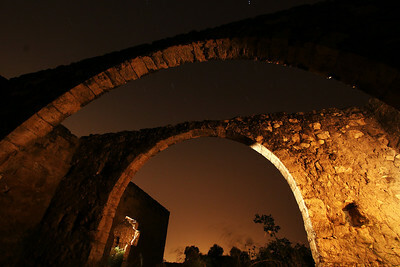 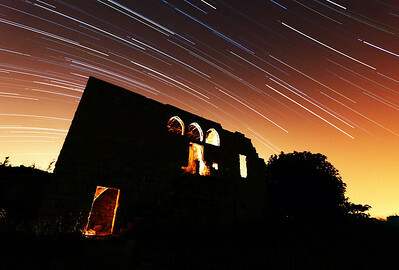 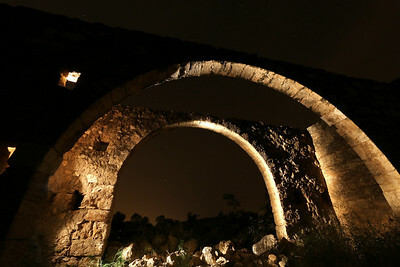 Old byzantine building and startrails of the celestrial equator. 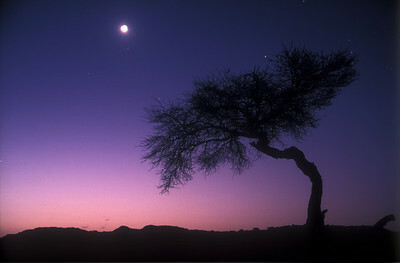 Long exposure of a lone tree in the Israeli desert. 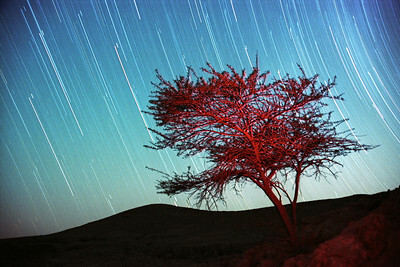 White stripes are star trails, the Blue color of the sky wascreated due to a military base nearby, and the red color of the tree was created by artificial lighting. 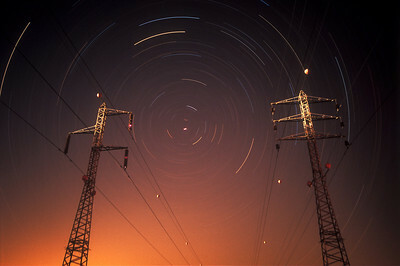 Photo was created on film and scanned to digital copy. 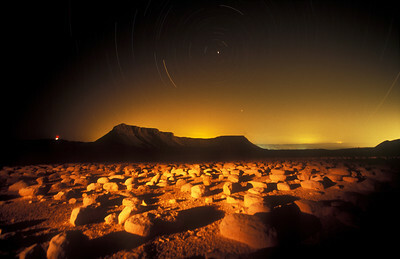 Marlstome cliffs layered under the night sky. 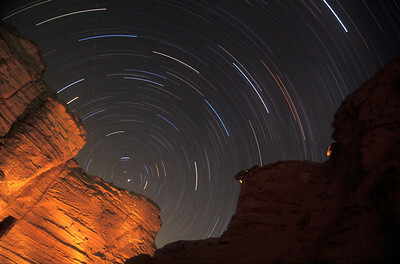 Polaris, the north star is just above the tip of the cliff. 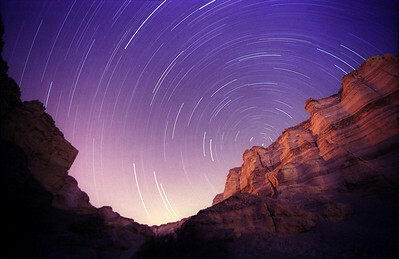 The lanscape of the area near the Dead sea was shaped by water and wind for millions of years. 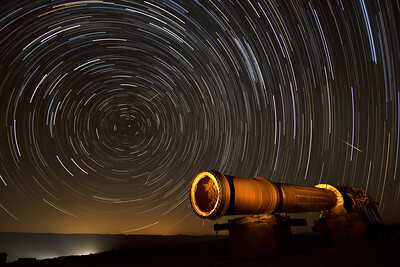 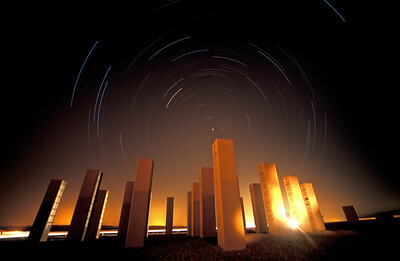 Above, the stars of the northern hemisphere circle Polaris. 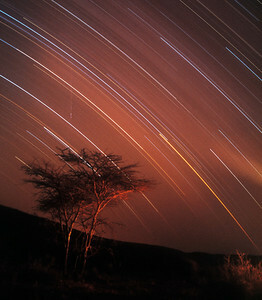 The photo was taken for about 2 hours over color film, and later scanned.